Hello there, for my final instalment of my Craft Favourites 2015 series, I am talking about my favourite finishing touches. In the video I talk about my favourite pens to add that finishing touch to stamped images, I also talk about my favourite embellishments. Here are the links to the products I shared in the video. Please click on the picture or wording to be taken to where I purchased it. Affiliate links are used on some products. This means that if you make a purchase after clicking on my link, I receive a small commission with no extra cost to you. I truly appreciate your support when using these links. For my giveaway today, I have three packs of Sequin Shaker Mixes from Little Things Lucy's Cards up for grabs. They are just so pretty and can be purchased here at Clearly Besotted or direct from Lucy here. 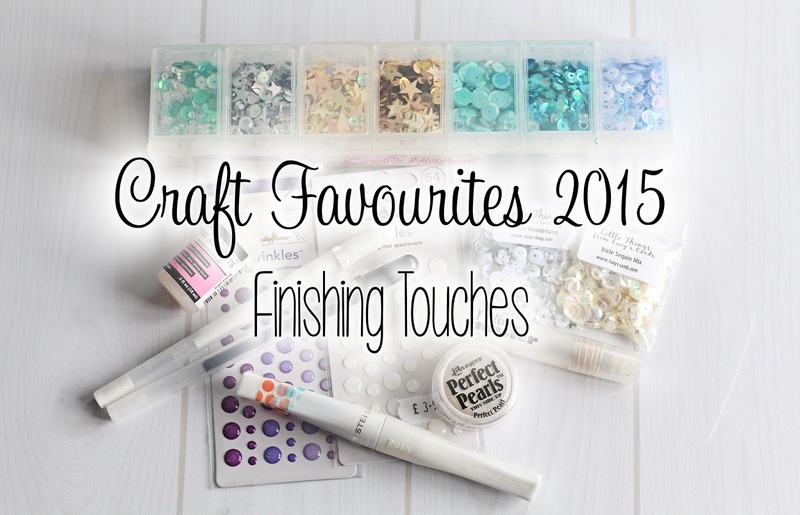 All you need to do to enter the giveaway is to leave me a comment telling me what your favourite embellishment is. The draw is open internationally and will close on the 5th January 2016 at 12 noon GMT. I really hope you have enjoyed watching my Craft Favourites 2016 series. Thank you so much for your support this year, in all my crafty endeavours, it really means the world to me. I also want to take this moment to wish everyone a very safe and happy New Year's Eve. See you in 2016! Hi Michelle!! My favourite embellishments are sequins and my clear wink of Stella pen! Awesome job on these videos! Thanks for the crafting supplies information about finishing touches! My favorite embellishments are gems and sequins, they seem to add that last touch when a card needs just a "little something" :) Thank you for sharing your faves, I watch your videos all the time, love them! I'm really enjoying your Craft Favorites. I would love to win the sequins. I don't have any and would like to try them out. They look so pretty on the cards I've seen. I love the Clear Wink of Stella - and, yes, it does last a long time! So easy to use and like the way you can layer it to either be a light shimmer or heavy bling! Hi Michelle,my favorite arethe white gel pen and rhinestones !! wishing you a fabulous 2016 !! This series has been so informative and not at all good on my purse, aha! My favourite embellishment by far is a white gel pen, it can brings so much life and depth to an image and it looks great as dash lines on a darker card stock! I've also started getting into making shaker cards and popping a few sequins here and there so this giveaway is awesome! Since I am really enjoying shaker cards right now, sequins and other little shiny things are my current favorites. i would have to say my most used finishing touch is my multi liner pen, i use it around the stamp image after i have coloured to enhance the image. first a big thank you to you for this wonderful video´s. It helps me to find practically tools for my work with cards. My favorite embellishments are the Caribian sequins from Lucy. Have a great New Year 2016, Michelle. Hiya Michelle! I've loved watching your favourites series this year, and I wish you a happy new year. I would have to say my favourite embellishments are gems, because they come in such a wide range of colours and options you can use them on any cards. They are very versatile and helpful. Thank you for the opportunity of winning a prize! My favorite embellishments are also Wink of Stella(I only have the clear one), sequins, die cuts, sparkle gems, and a glitter pen (clear star). Carol Horton. My favourite embellishment has to be my Wink of Stella pen, I don't like loads of glitter but this gives a subtle finish so I use it a lot. Have a great New Year, Michelle! I love adding rhinestones and pearls to cards. Also the clear wink of stella brush pen is a staple! Love Wink of Stella... plus a nice coat of glossy accents! But I love the sequins and enamel dots too. Too much to choose from! 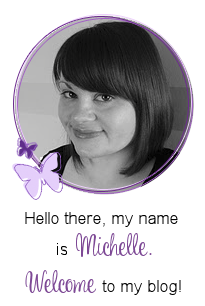 I think so far my favourite embellishment is Wink of Stella but I also like to use some enamel dots, sequins or rhine stones sometimes, the WOS just seems so neutral so I use it most :) have the most wonderful Year Michelle! Hi Michelle. My favorite embellishment is Glossy Accents. Happy New Year! I don't have one favourite, but love wink of Stella, glossy accents, buttons and sequins. Glossy accents and clear wink of stella are my favourites! Happy New Year Michelle! See you in 2016! My favorite embellishment is the clear Wink of Stella and I sometimes use two layers for extra sparkle. For eyes, I like the Sakura gel pen, but if the eyes are large enough, I add Ranger's black liquid enamel accents. Happy New Year to you and yours! Kind of been enjoying using stickles again lately and just lightly painting them on for a thinner look with a little cheap disposable tip thingy. Thanks for another great video as always! I love to add enamel dots, like the Doodle Bug you showed. I also use Wink of Stella and glossy accents. Thanks for the giveaway. Love this series of videos! Glossy Accents and Wink of Stella clear are my favorites. Thanks! Michelle, I love you choices for finishing touches. I too love the Wink of Stella. I also like the Sakura Star Dust pen. Happy New Year! Hi Michelle my favourite is wink of stela and I use it a lot. Thanks! I'm a fan of most to things you showed today! Happy New Year! My fave is anything sparkly. Have you tried the Wink of Stella Glitter? I have it on my wish list to try right now. Really finding you videos helpful. How about one on how to create a Craft Room-- the essentials, most efficient storage, decor, etc? Thanks for all your inspiration, and happy new year! Love your series. Thank you. I am really into sequins right now. My favorite embellishment is brads. I know they aren't as popular now, but I love them! I really like the wink of Stella too! Thank you once again for the chance to win some fab stuff and for the brill vids looking forward to more next year. My favorite are the sequins. I used to use a lot of glossy accents. Have a great coming New Year! I use my Wink of Stella clear pen ALL the time! i do like the doodlebug sequins in the little jars, but i have just brought the new spectrum noir sparkle pens. they are great!! sarah..
Can't live without my wink of Stella and Sakura pens! I love all your videos! Wink of Stella definitely used a lot this year. I've also used sequins more this year too. Love glossy accents and sequins - the assortments you have are gorgeous!! I have a ton of stickles and ribbon - just not a lot of inspiration to use them...LOL, so my goal is to try to incorporate that into cards this year. Thanks for another wonderful video. Wonderful video! I really need to order some of those sequin mixes from Lucy's shop. They look so amazing! I found myself using the clear Wink Of Stella glitter pen on just about every project in 2015. Love that product! My favorite embellishment is my Wink of Stella clear glitter pen...hands down! This has been a great series, Michelle! Thanks so much for sharing your 'Crafty Faves' with us ~ Happy New Year! Wink of Stella here too, oh and sequins. Happy New Year!! Thanks for sharing. I love anything that adds glitz or bling! I also can't live without my wink of stella! Love it so much. Thanks for the giveaway! First, thank you so much for doing this. 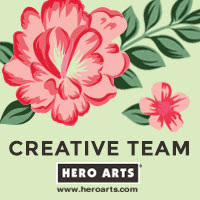 It is so helpful to know what someone who crafts a lot is using and the products they like. I lobe my Wink of Stella and the Glossy Avcents! Loved the videos, thank you so much. My favorite embellishment has always been the stardust Stickles. I love it for a touch of sparkle. Definitely Wink of Stella! I think that has become a very popular product! Wonder what new products 2016 will bring us? I use sequins and pearls in almost every card and I also use a lot felt and lace,sometimes I paint the lace with the same colors of the card, others I leave it as is. Thanks for the video, I would LOVE to win these sequin bags,Thanks! I love the wink of Stella too before I found this I used a water brush and the Sakura stardust to give my cards a shimmer!! Great video!! Wink of Stella has to be my favorite. I have to say Wink Of Stella Clear, it gives me just the right amount of sparkle for some of my cards. Ike to use inspires me. Happy New Year to you and your family. I love putting sequins on my cards. Though I am seriously thinking about the Wink of Stella! Thanks for the great video series. Wish you a fabulous 2016. My favorite embellishment as a new papercrafter is the Wink of Stella pens. Hey Michelle!! I totally love Lucy's sequin!! By far they are the best embellishments that I own. Great series!! I'm curious about your black black jelly roll pen. What does it look like on paper? Diamond stickles glitter glue! I use it so much! ANYTHING glittery. Paper, sprays, Wink of Stella, sequins....ANYTHING!! Using embellishments on my cards is something I need to get better at. Right now I would say Wink of Stella. Favourite embellishments? Hmm, wink of Stella, Finetec paints, and foiling, just started playing with various foils. Happy New Year to you! Great series of films. Thanks for all the advice. My favorite addition is washi tape. I love sequins especially Lucy's sequin shaker mixes. This final video was great! My favorite embellishments is enameldots. Its so hard to pick a favorite! Wink of stella is up there, with glossy accents. But I love sequins too!! Thanks again for the video series, it's been great. I really like how you display the sequins. Great video,thank you! I'd love to try several of your favorite things which I don't have.My fave at present is sequins,love them and like to add them to every card I make!Happy New Year,and thanks for the opportunity to win a prize! I love my Wink of Stella and use it on pretty much every card now, my other go to embellie are clear gems. I need a bit more practice with sequins, haven't used them much up to now as I never seem to get the placement right ! I find my favourite embellishment to be sequins... I have a weakness for anything shiny though! Wink of Stella is wonderful! I think my favorite has to be sequins! I love enamel dots, they are finally becoming more readily available in Australia and also the blingy sticky dots (forgot what they are called - not rhinestones but larger with bling bumps on them). I have been meaning to get a wink of Stella pen but they are quite pricey. Thanks for the great series, it has been very informative. LOL it looks like me and the rest of the world just love Wink of Stella!! Thanks for doing this series, I have really enjoyed it. Mine would have to be enamel dots and sequins at the moment. Wink of Stella and sequins, I rare,y make a card without one or the other. My favorite embellishment has been the Ranger stickles. If I could pick just one favorite embellishment it would be the glossy accents. Perhaps followed by melted pony bead faux enamel dots. I think wink of Stella would have to be ,u favorite embellishment because of the nice shine that it adds. I ❤️ anything that adds dimension to my creativity...anything includes: chipboard pieces, thickers, sequins, enamel dots, dew drops, bakers twine, buttons, die cut sentiments, German glass glitter, brads, sewing, wood veneers shapes & last but, not least...foiling! Thanks for sharing with a give away & Happy New Year! Hey Michelle! My favourite embellishment would have to be Ranger's Glossy Accents. I also love to use sequence. You have really worked so super hard to make this awesome video series and I really enjoyed it! My favourite embellishment would be Sequins, Wink of Stella and Glossy Accents! Thanks so much for sharing! I used to be a ribbon and flower "embellisher," but lately I reach for sequins or dots. There's such a huge range of colors and styles now. Loved this series, thank you so much for all your videos. Wink of stella is probably my go to embellishments. Sequins are nice too but not as quick! Thanks for the video series. I love to add flowers that I have made either with my Cricut, dies, punches or just by fussy cutting. They add so much glamour to my cards. Anytime I give someone with flowers on it they always say they are going to save it or even frame it. I love washi tape and baker's twine. Thank you for sharing these videos with us, have a great year! I especially like the Wink of Stella clear marker because I can use it on anything, even my daughter's school projects (on her request of course). I Love your video :) so many ideas! My favorite embellishments are sequins, enamel dots, gems and wood veneer. I have just started using sequins on my cards recently, who knew they could add so much!! I really love Wink of Stella and Sequins. Those are my go to embellishments. Love your videos. It's got to be sequins right now! I love sequins and my clear wink of stella pen.